She Writes Press, 9781631521966, 320pp. In this second book of the series, Henrietta and Clive delightfully rewrite Pride and Prejudice--with a hint of mystery Newly engaged, Clive and Henrietta now begin the difficult task of meeting each other's family. "Difficult" because Clive has neglected to tell Henrietta that he is in fact the heir to the Howard estate and fortune, and Henrietta has just discovered that her mother has been hiding secrets about her past as well. When Clive brings Henrietta to the family estate to meet his parents, they are less than enthused about his impoverished intended. Left alone in this extravagant new world when Clive returns to the city, Henrietta finds herself more at home with the servants than his family, much to the disapproval of Mrs. Howard--and soon gets caught up in the disappearance of an elderly servant's ring, not realizing that in doing so she has become part of a bigger, darker plot. 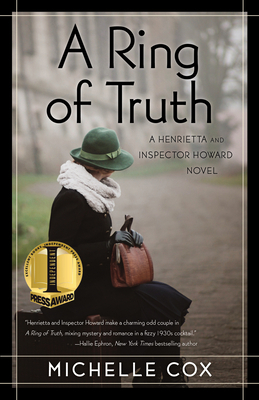 As Clive and Henrietta attempt to discover the truth in the two very different worlds unraveling around them, they both begin to wonder: Are they meant for each other after all?